ISIS has claimed responsibility for at least 25 attacks on atheist bloggers, Hindu priests, foreign aid workers, Christians and other religious minorities since September 2015. Autopsy reports of the bodies of nine Italians who died in Dhaka in the cafe attack last week have revealed that they were tortured by the militants before being murdered. While some of them had been mutilated, many were slashed with knives and suffered a slow death. The bodies were flown back to Rome on Tuesday. Meanwhile, the Bangladesh police said on Wednesday that a pizza chef who was killed during the attack was, in all probability, worked with the gunmen. The chef, Saiful Islam Chowkidar, was unarmed but was seen "moving and running" along with the militants during the siege. The police had initially said that Chowkidar was mistakenly killed, but Chief of Counter-Terrorism Police Monirul Islam said that it wasn't an accidental death. The police were, however, unsure of how he was killed or what his role was in the attack. "At one point they (militants) tried to escape. They came out running and started firing; the chef was with them...He is a suspect member of this group...Before the final operations, their movement was suspicious", Islam was quoted by Reuters as saying. Two other suspects, who were also working at the cafe, are undergoing treatment in hospital. The Islamic State group released a video on an ISIS-affiliated website that showed three unidentified Bangladeshi terrorists boasting about death tolls from the different terror attacks carried out by the terrorist organisation. They threatened to carry out more attacks on "crusaders" and "crusader nations". "We will not stop killing the crusaders till then; we will win or die for our religion as martyrs and achieve Sahadaat (martyrdom)... we don't have anything to lose... 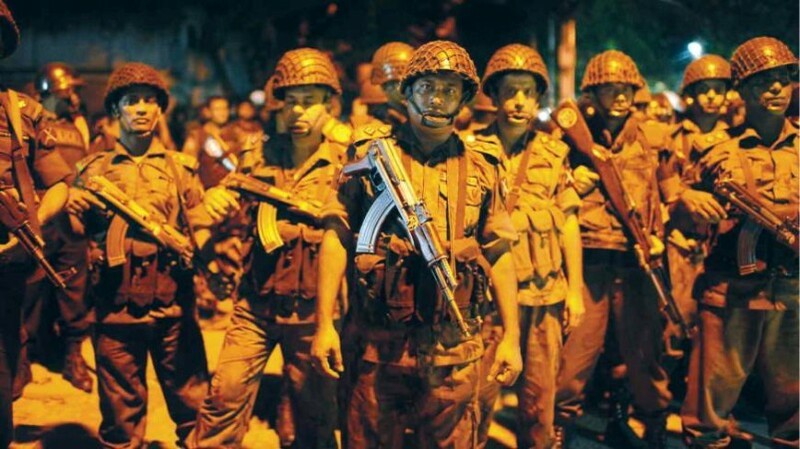 The Jihad that has come to Bangladesh now has been promised by Prophet Mohammed," said one of them, while stating that the group wouldn't stop till Shariah law was established worldwide, the Dhaka Tribune reported. "Since the govt has changed Allah's law and has implied man-made law, they are all 'Kafirs' (person who is not a Muslim) now. It is our religious duty to fight against it. Crusaders are killing innocents Muslims globally with planes and bomb attacks... So the Holey Artisan (cafe) incident is our revenge to the lost blood of the hundreds and hundreds of Muslims who were killed," said another. ISIS has claimed responsibility for at least 25 attacks on atheist bloggers, Hindu priests, foreign aid workers, Christians and other religious minorities since September 2015. They have also attacked several Shia and Ahmadiyya mosques.